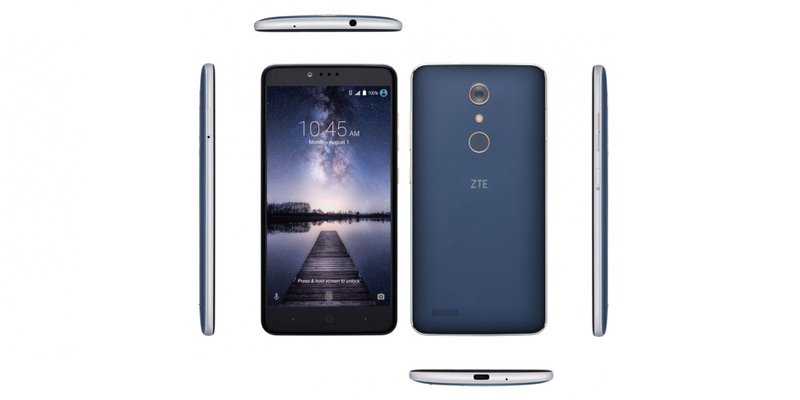 The Chinese manufacturer is very active in Western markets for some time, as demonstrated again with the announcement of ZTE ZMax Pro, an interesting phablet offered by the operator MetroPCS in the United States. This and its price suggests that we should not reject a possible arrival in Europe, possibly under a different name. The ZTE ZMax Pro has a 6-inch screen with Full HD resolution (1920 x 1080 pixels), protected by Gorilla Glass 3 technology. The hardware also includes an octa-core Snapdragon 617 processor at 1.5 GHz, with the support of 2 GB of RAM and 32 GB of flash memory, expandable with microSD cards up to 128 GB through a hybrid slot, where you can also add a second SIM card. The cameras have a resolution of 13 megapixels and 5 megapixels, while the battery has a capacity of 3400 mAh and supports quick charge from the Quick Charge 3.0 technology by Qualcomm. Connectivity is provided via Wi-Fi 802.11b /g/n, Bluetooth 4.1, GPS and LTE modules. The ZTE ZMax Pro also offers two features normally found in more expensive products on the market, one is the USB Type-C port and the other is the fingerprint reader. Note that for this specifications and price are certainly a valuable smartphone, compared with the components of competitors, such as the recent Moto E3. The ZTE ZMax Pro could reach Europe in the future, but as already mentioned, currently only going to be available in the US from 1 August at a price of 99 dollars (90 euros).